Enhancing Quality of Life, Empowering Independence. When you or a loved one has experienced an injury or a health challenge that limits independence, it’s all about getting back to enjoying life as quickly as possible. Yet it’s vitally important to learn the skills and build the strength needed to regain and improve your well-being. We are absolutely dedicated to helping you or your loved one achieve the highest quality of life. A personalized rehab plan to achieve your goals: Based on a desired lifestyle and your current abilities. Family support and education: Family/caregiver meetings, to share progress, answer questions, and provide coaching on how family members can support success. A safe and comfortable home environment: Working with family/caregiver, we evaluate the living environment, then provide recommendations to ensure safety and comfort. 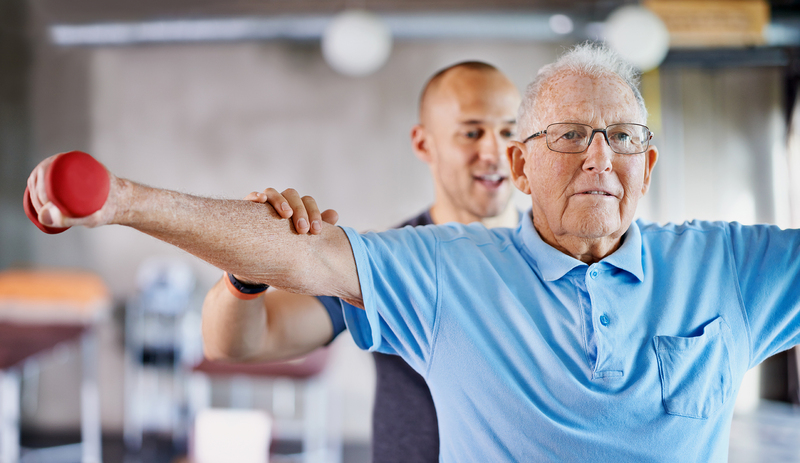 The ability to live the lifestyle you love longer: After rehab is complete, we continue to support patient success with a post-therapy plan, including a home exercise program and strategies to help sustain gains made during therapy. For more information on Therapy Specialists’ services, contact Keith Carson, director of partnerships, at (619) 743-9093 or send him an email. My deepest gratitude and appreciation for the outstanding performance of your rehabilitation personnel. I have been a patient for the past nine weeks, and your skillful rehabilitation crew is remarkable. Your services are priceless. My progress has improved significantly since I began physical therapy at Therapy Specialists. Because of the dedication and devotion of the team, I am very hopeful for a full recovery. After I received a new hip, I was able to return to my home and independent living, thanks in great part to the support of your therapists. I will always be grateful. As a practicing physician and surgeon for over 40 years, I have referred thousands of patients to physical therapists, but I never needed therapy myself until a recent hip replacement. Therapy Specialists removed the hip pains I have had for so many years–all without pills!